The Heidelberg (previously known as Old Heidelberg) is a three-floor German restaurant, pub and music hall located in the back left corner of Helen Georgia's Main St square. After decades of history, we decided to refresh our space to better accommodate a whole new generation of memories. So next time you're in town, come on by! Reservations are available in our dining room only. First floor bar and music hall seating is first come first served. Reservations requests made within 24 hours of the desired date and time may not be accommodated. We seat walk-in parties on a first come, first served basis only. Please fill out the following form to request a reservation. You will receive an e-mail confirmation within 24 hours. If you would like to make a general inquiry, please CLICK HERE. We are currently reviewing your submission to ensure that we can accommodate your needs. Please look out for a final confirmation email within the next 48 hours. 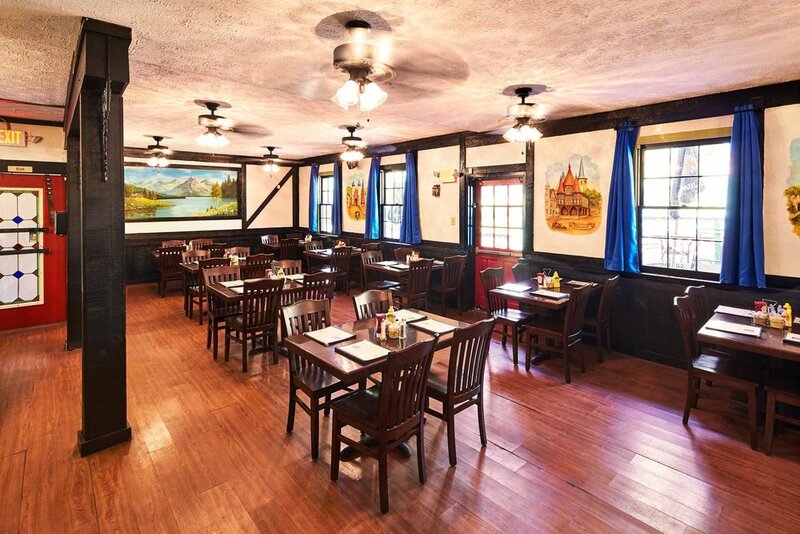 Please note that during OKTOBERFEST, we will do our best to seat your party as close to your reservation time as possible. However, the time is not guaranteed due to the increased and often unpredictable volume of guests. Should there be a delay in seating you, parties with reservations will receive priority. Thank you for your understanding! 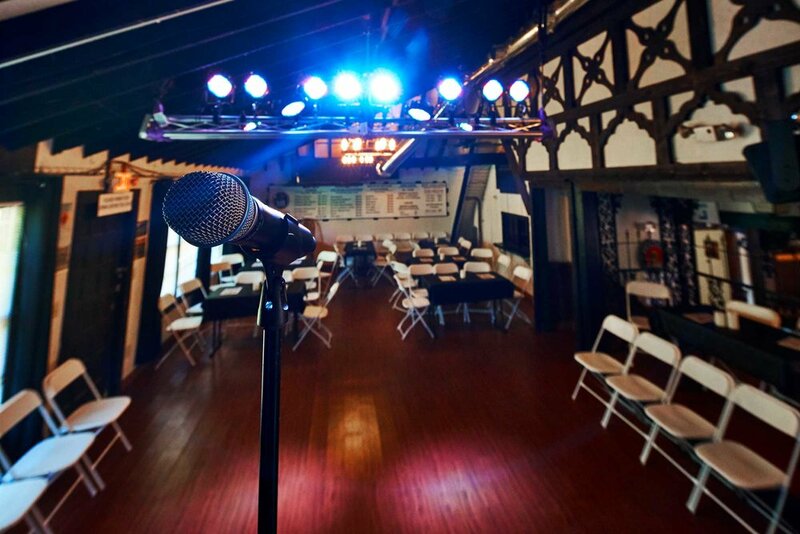 Bierhimmel Konzerthalle (Beer Heaven Concert Hall) is our newly renovated entertainment space at the top of the Heidelberg! See the map at right for various options. Closest free parking is about 500 feet away. Closest paid parking is about 250 feet away. Pub and Bierhimmel hours may vary. We gladly take reservations in our dining room. Please CLICK HERE to reserve your table. Let us know by filling out the form below. We'll write you back as soon as possible. Thank you! We have received your message and will do our best to reply within 48 hours. Want to work at one of Helen's oldest and most storied restaurants? Do you have what it takes to work in our fast-paced yet friendly environment? We are looking for a few good people to fill one our open positions. We're currently looking to hire hosts, servers, bartenders, and cooks for all shifts. If one of these positions interests you, please complete the form below. If management feels that you might be a good fit, someone will contact you to conduct a telephone and/or in-person interview. Thank you for your interest in a position with us! We have received your application and will be in touch.